So you want to start a gaming channel? Playing video games with millions of fans cheering you on sure does sound a lot more appealing than working in the lumber yard. However, like any job, you’re going to need the right tools if you want to succeed. 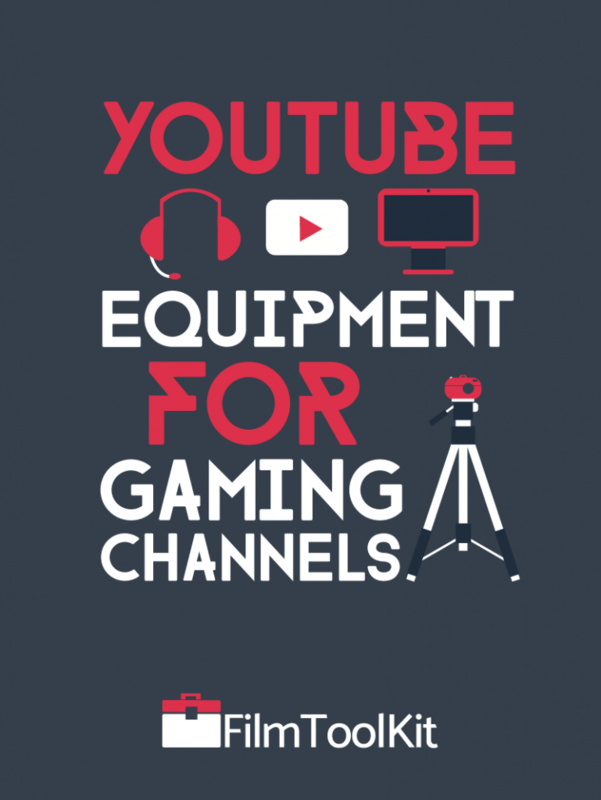 FilmToolKit has curated this definitive list of the best YouTube equipment for gaming channels to help you choose the best options quickly and start focusing on what matters most – content. Here at FilmToolKit, we have written countless buyer’s guides to help you buy the best film gear possible. This is going to be a round-up of all our best recommendations from each list. We have done endless hours of research and read countless reviews to make sure you’re buying a fairly priced product you can trust. Unless you’re making Kshaway style videos without vocals, you’re going to need some means of recording your voice. Nothing will make people tune away faster than distorted audio recorded on a smartphone or other cheap microphone. Most aspiring gaming YouTubers don’t have fully equipped audio studios with mixers and amplifiers to handle their recordings. Luckily, you don’t have to break the bank to get a solid recording device. We recommend a simple, all-in-one desktop microphone that you can plug in via USB and start recording immediately. Out of all the microphones we reviewed, This seemed to be the most well rounded, high quality all-in-one desktop microphone. The blue yeti has all the essential features, a mute button, gain control, and a zero latency headphone jack for real time monitoring. The thing feels indestructible, and has different modes to record in different directions for every recording position imaginable. If you want high quality and simplicity at a reasonable price, this microphone is guaranteed to satisfy you. This is the holy grail of Gaming YouTubers, and you’ll find one on the desk of almost every YouTube gamer at one point or another. If Marques Brownlee says it’s good enough, it’s probably good enough. Here’s a link to our full review of the Top 5 Desktop Microphones if you would like to see other options at different price ranges. The Senneheiser Game One is pretty much king when it comes to headsets for streaming. Sennheiser is a trusted brand throughout the film and audiophile community, and this headset is an excellent addition to their lineup. The build quality is sturdy, adjustable, and flexible, with velvet earmuffs and braided cables to ensure comfort and durability. Volume control and muting are simple and intuitive, and the microphone and headphone quality is astounding. There’s even a two year warranty! Here’s proof that the Sennheiser Game One is the real deal. Game Zero? The Game Zero is a completely identical headset featuring a closed-back design rather than an open-back one. Closed back headphones isolate your headphones from the sound of the room, while open back ones allow leakage, and create a larger soundspace. They’re both equal in quality, it just comes down to personal preference. Here’s our full review of the Top 5 Headsets if you would like to learn about other options at different price ranges. Bonus Tip: We recommend doing all of your audio recordings in Audacity. Audacity is a completely free, cross platform audio software that will allow you to capture recordings easily. It is very simple to use, and there’s no reason to purchase anything better. The pros use this. Believe it or not, all the YouTube giants you look up to don’t just plop their camera on the desk and hit record. If you want your image to look professional, you will need to invest in some sort of lighting. A good lighting set-up can even make the cheapest cameras produce high quality images you would never expect to be possible. The lights around your house will be better than nothing, but if you want to be a career YouTuber, you should probably buy something a little more professional. In terms of lighting, you’re going to have two primary options to choose from. The Ring light, and the Softbox light. We’ve written an article where you can read about all the difference between these two options, Ring Light Vs Softbox Light. If you think a softbox lighting kit is right for you, we suggest the Neewer Softbox and Umbrella Lighting Kit With Background Support System. It comes with umbrella lights (discussed here), as well as everything you need to set up a personal content creation studio. The killer feature of this package is the backdrop and supports. This package will allow you to create a very professional look, as well as do cool things like overlay yourself onto your gameplay with the greenscreen. The reviews for this product are mostly excellent. In terms of value you are getting a ton of stuff for your money, and we’d recommend this for not just gamers, but any YouTuber. If you would like to read the full review, or learn about other Softbox lighting kits for different price ranges, click here. If you would prefer not to bother will all of the logistics and knowledge required to set up your lights in the best way possible, we suggest you go with a ring light. They’re easy to use, create an awesome glow around your face, and make you look really pretty (Haha). They’re also pretty affordable, ranging between $100-300! If you want the best ring light money can buy Diva Ring Light Super Nova 18″ Dimmable Light . It costs a little bit more than the competition, but is definitely worth the premium. It includes tons of accessories, bright, dimmable, and is more reliable than any ring light on the market. The warranty and customer support is also reportedly great. The Diva Ring Light is also available as a cheaper alternative of the same ring light, just minus the dimming functionality. Don’t worry if you’re looking for an option that’s much cheaper. We’ve found the best ring lights at every price point in our guide to the best ring lights. 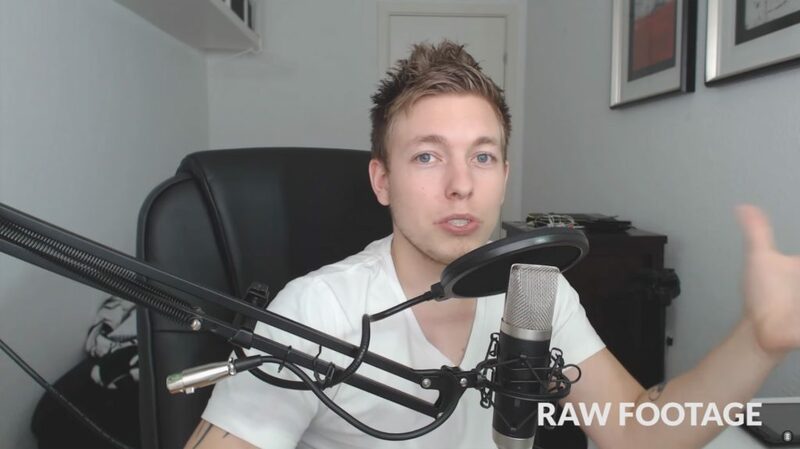 How are you supposed to become a gaming YouTuber without some means of recording footage? We’ve reviewed just about every capture card on the market and it was impossible to find a card that could match the value and quality of the Elgato Game Capture HD60. Capturing 1080p 60Fps footage is simple and easy, and technical issues are virtually nonexistent. With a price tag under $200, you aren’t going to find a device of this quality anywhere else at this price range. It even lets you stream to Twitch and set up overlays! If you’re going to be playing games on a PC, or would like to dabble with streaming in addition to YouTube, we recommend the Elgato Game Capture HD60 Pro. This variation of the previous capture card has a maximum bitrate of 60Mbps, compared to the 40Mbps of its external brother. This combined with the convenience and ultra low latency features of a PCiE connection make this the superior choice if you’re getting a compatible desktop computer. For more capture card options, check out our guide to the best capture cards. If you aren’t planning on recording footage from consoles, and just need a means of recording your PC games, Nvidia Shadowplay is an excellent free piece of software available for those with Nvidia Graphics Cards. Nvidia Shadowplay sets itself apart from the competition by requiring very few resources to run in the background. The only thing you’ll have to consider is running out of space on your hard drive! It also has replay features allowing you to record the last 30 seconds of gameplay at the push of a button. This means making montages and highlight videos are a breeze, because you can make sure you record only your best moments and nothing else. So if Nvidia Shadowplay is free, why would you bother purchasing any capture cards? Well, like we said earlier, it is only compatible with Nvidia GPUs, and if your GPU is on the lower end and already struggling to run your game, there will be issues. You will also not be able to record console footage, which is quite important if you’re taking this seriously. Furthermore, your audio will be compressed into a single track, meaning your microphone and whatever other noises are being heard on your computer will be a part of whatever clips you record. This may not be a problem for some, but it was a huge issue for me when I was making content. On top of all this, the codecs used are not completely lossless, and although the capture quality is very good, it is far from perfect. Alright, If you’re just piecing a video together for fun every once in awhile, you might be able to get the job done with iMovie or Windows Movie Maker. They’re clunky, and lack important features, but you can probably get the job done. However, you’re probably here because you’re trying to turn this into a career. If you want to play video games on YouTube for a living, you’re going to want to make the pathway there comfortable and time efficient. Our recommendation to you is that you use Adobe Premiere. It’s easy to use, intuitive, easily compatible with the rest of the Adobe Creative Suite, and is used for projects of all sizes. Everyone from VideoGameDunkey to the editors of Deadpool is using Premiere to create their content efficiently. When I worked as a film editor, I played around with other products like Final Cut, but nothing was as smooth and natural feeling as Adobe Premiere Pro. Plus, it’s available for only $9.99 a month! If you’re looking to incorporate fancy intros and outros, effects, or typography, you may want to consider investing in Adobe After Effects as well. Most YouTube Gamers with impressive visuals are doing their work in AE. I definitely wouldn’t prioritize this however, as most of the simple effects from AE are achievable in Premiere alone, albeit with a little more effort. If you already have a DSLR or camcorder, great. We don’t currently have the expertise to advise you on DSLRs, so we’re not going to. If you have one of the latest smartphones like the Iphone X or the Google Pixel, you should consider using that to record your facecam footage. Combined with proper lighting, smartphone cameras are now capable of achieving results previously reserved for those with high end cameras. If you don’t have one of the more recent smartphones, we suggest saving money by investing in a high quality webcam. The thousands of dollars you would put towards an expensive camera will be better spent purchasing the aforementioned gear. The LG C920 Webcam is a relatively cheap solution that provides some serious visual fidelity for the money. For around $50, you’re getting a full 1080P camera that is easy to set-up, mount, and start filming with. If you’ve followed our previous advice and purchased a proper lighting set up, you are definitely able to achieve a professional look. It also features dual microphones for stereo sound, although those are pretty low quality, and should be avoided unless you have no budget left for a desktop mic. With proper lighting, the image quality of the C920 is barely distinguishable from that of a high end camera. Big time streamers like Imaqtpie even use the Logitech C920 for their visual feeds, in case you were still concerned it might not be good enough for you. You definitely already have a computer, who doesn’t? Whether or not it is good enough is a different question entirely. At the very least, even if you’re going to be console gaming and editing on your computer, you’re going to want a dedicated graphics card and decent other specs. If you plan on gaming on your computer, you’re going to need higher end hardware as well, as nobody wants to watch you play through GTA 5 on Ultra-Low resolution. If you’re on a budget, you’re always going to get a much greater performance to money ratio if you go with a desktop. There are an endless amount of laptops that will be excellent choices for your content creation, but we’re going to be suggesting mainly desktops. Desktops are also the only option if you’re interested in recording with an internal capture card. If you aren’t going to be using VR, and are looking for an excellent PC that will handle whatever gaming you throw at it at decent settings, this rig is a very strong choice. It is capable of everything short of VR, and is very affordable as far as gaming PCs go. For the longevity of your channel, personally we would recommend that you build or buy a rig that is capable of handling VR. This will also benefit your workflow greatly, as VR-ready hardware also excels at editing and rendering. We’re putting this last because we think this should be a lower priority than anything else on this list. Despite that, Acoustic Padding could potentially add a ton of production value to your audio quality if the acoustics of your studio are disadvantageous. I personally love acoustic padding, as it is a great way to drastically improve your audio for very little money. This listing offers 12 packs of acoustic paneling for less than $20! If your recording equipment is set up in a corner, we suggest purchasing two packs to stick to the corner walls. Four or five packs will be enough to sparingly cover an entire room and a ceiling.